Ho-Oh is a Legendary Pokemon and is considered to be the opposite of the Legendary Pokemon Lugia the two are called the Tower Duo. Ho-Oh is the guardian of the skies and Lugia is the guardian of the seas. 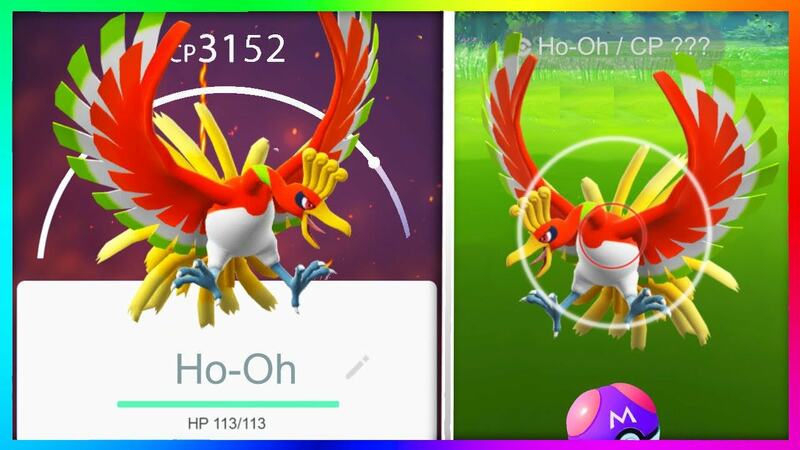 Ho-Oh was released in Gen II. Ho-Oh was said to have lived in a place called the tin tower before a war broke out and the tower was burned down. Ho-Oh then created three other special Pokemon in the form of Raikou, Entei, and Suicune. These 3 Pokemon are called the Legendary Dogs and Ho-Oh is considered their leader in the same way Lugia is considered to be the leader of the Legendary birds. Ho-Oh is extremely rare. Ho-Oh is the only pokemon that can use the move Sacred Fire. 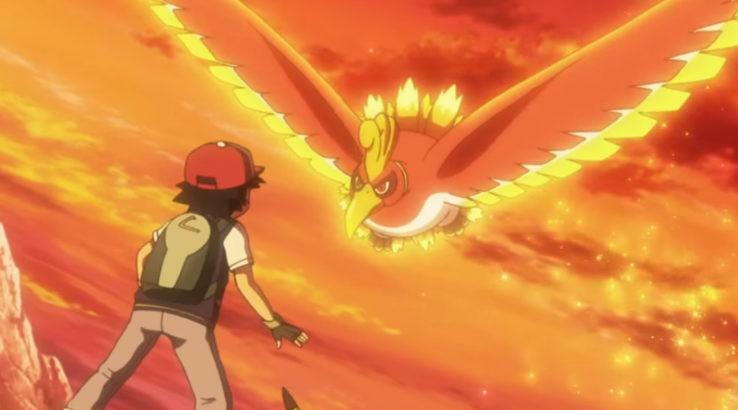 In the Pokemon anime Ash Ketchum sees Ho-Oh fly overhead making a rainbow at the end of the first episode. When Ash holds up his pokedex to see what kind of Pokemon it is the the dex responds that it is unknown. 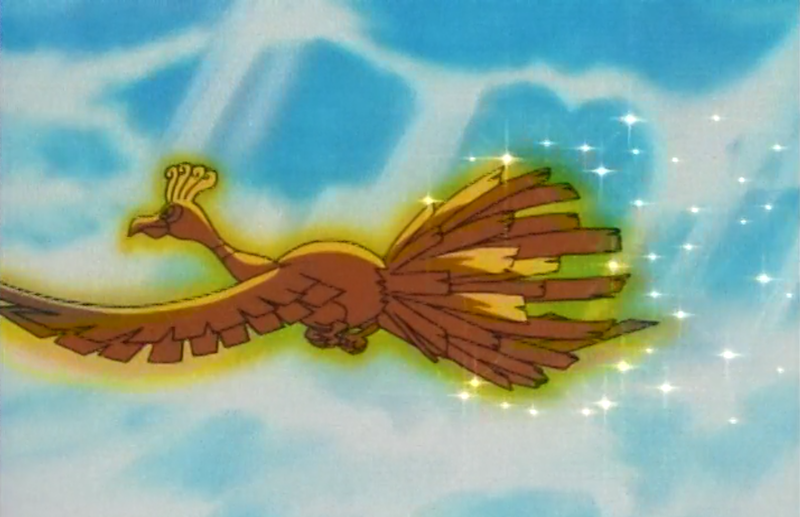 The identity of Ho-Oh is thus one of the first mysteries introduced in the series. 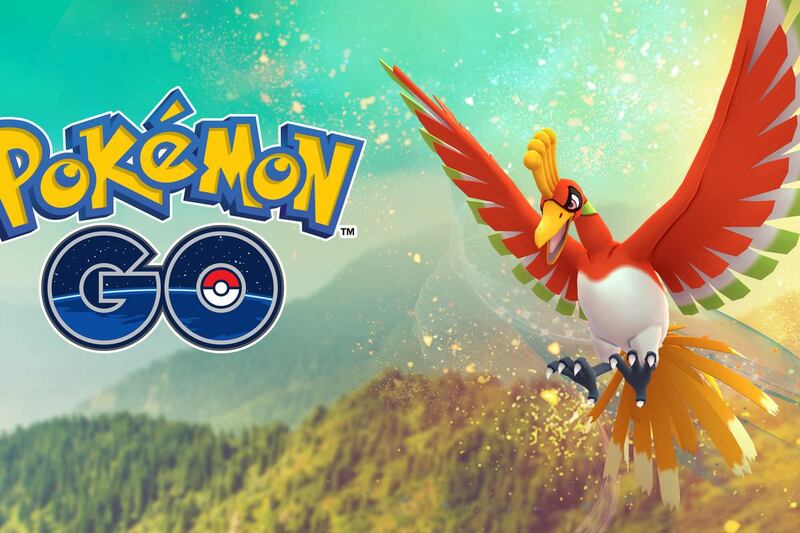 As a Legendary Pokemon Go Ho-Oh is battled in Raids and has extremely high CP. Legendary Pokemon like H0-Oh can be caught when you battle in a Legendary Raid. A raid will appear with a 5 Rydon symbol that denotes a Legendary Raid. Once the Raid pokemon appears it will be one of the Legendary Pokemon, if it is Ho-Oh then you can battle it. If you successfully beat Ho-Oh you will then get an opportunity to catch it. To beat Ho-Oh you will to make a team of multiple people to help. No matter how powerful you are the Legendary Pokemon in Raids are very powerful (Very high CP) and require a large group of people with high level Pokemon. You have entered battle with glorious rainbow bird legend of Ho-Oh but Ut Oh it sees you! and as you gawk at its beauty you realize its swooping in to take you down. Time to get moving and get strategizing! Alright strategy time well lets start with this Ho-Oh is an Flying / Fire type hybrid pokemon. Good luck in your battle against Ho Oh!